Using improved varieties of groundnut for processing that offer at least twice the potential quantities of oil for extraction in comparison to local varieties is helping to economically empower women in Nigeria. 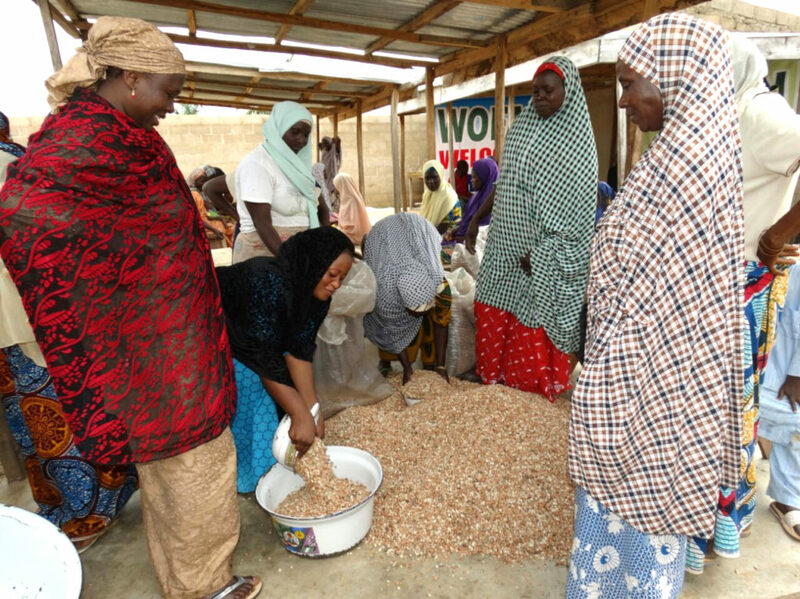 Women Farmers Advancement Network (WOFAN) and ICRISAT are working to promote improved groundnut production technologies for the Yadakwari community in Garun Mallam Local Government Area (LGA) of Nigeria. The Yadakwari Women’s Community Service Centre is now using these improved varieties to produce more groundnut oil (up to 350 liters per week) in addition to kuli-kuli (a popular local groundnut-based snack; see box). The demand for locally pressed groundnut oil and kuli-kuli is so high that they are being immediately sold in the local markets. “Improved varieties of groundnut from ICRISAT have brought happiness to many farm-families in northern Nigeria. 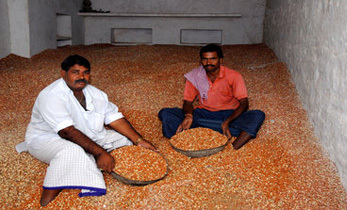 Husbands grow groundnut, while WOFAN supports their wives to buy the grains produced for use in small-scale oil extraction. 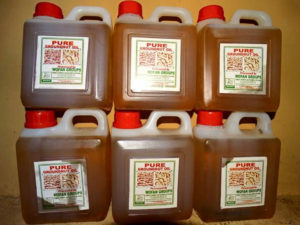 Several other families in Kano state go to our office because they can buy unadulterated groundnut oil from women’s groups being mentored by WOFAN,” said Mrs Hadja Salamatu Garba, Executive Director of WOFAN, Nigeria. 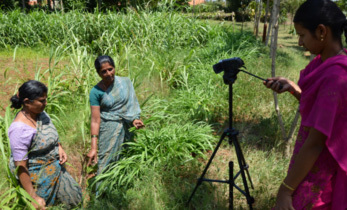 “If ICRISAT had not partnered with the Institute of Agricultural Research (IAR) to bring SAMNUT 23 and SAMNUT 24 varieties, which give three times the value of oil we were getting before, we wouldn’t have been able to address current market needs,” said Ms Garba. 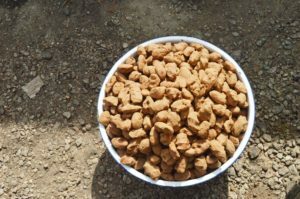 Mrs Saadatu Musa, leader of the groundnut processing group of the Centre, has indicated that each kuli-kuli bag easily fetches about 4,000 Naira (US$12) and the oil is sold at about 400 Naira (US$1.2) per liter. The sale proceeds are divided into three parts: shared among members of the groups, savings into the group’s account, and for maintenance of the processing equipment. The Yadakwari Women’s Community Service Centre comprises three women’s groups (one dedicated to general farming, the second to rice processing, and the third on groundnut processing). Each group has 30 women members. 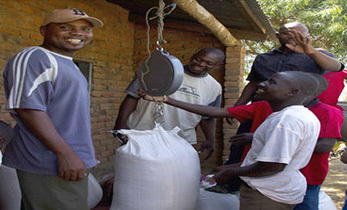 The group focusing on rice processing also receives support from the Competitive African Rice Initiative (CARI). 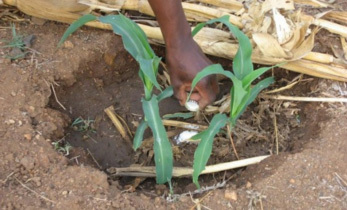 The project is being implemented by ICRISAT in partnership with 12 national partners and WOFAN is leading the post-harvest operations and market linkages in three states– Kano, Katsina and Jigawa. Kuli-kuli is a popular snack in northern Nigeria made from groundnuts. It can either be eaten alone or with a mixture of other foods. 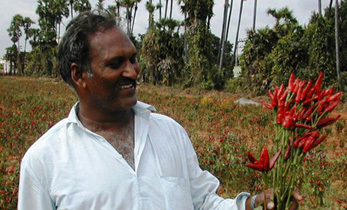 It is sometimes ground and mixed with salad or used as an ingredient for some foods. To make kuli-kuli, groundnuts are roasted and ground into a paste. The paste is then mixed with spices, salt and powered pepper. The paste is stripped of excess oil and made into desired shapes (round, cylinders, etc.). The oil removed in this process can then be heated and reused to fry peanut paste until it solidifies. It is then removed from oil and allowed to cool until ready to be eaten. 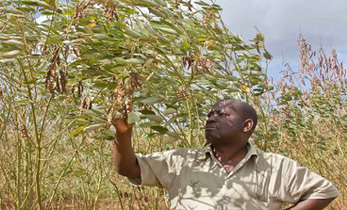 Project: Increasing Groundnut Productivity of Smallholder Farmers in Ghana, Mali and Nigeria. Investor: United States Agency for International Development (USAID). Partners: Institute for Agricultural Research (IAR); Nigerian Agricultural Seed Council (NASC); Centre for Dryland Agriculture of the Bayero University of Kano (CDA/BUK); Federal University of Agriculture- Makurdi (FUAM); Green Sahel Agricultural and Rural Development Initiative (GSARDI); Catholic Relief Services (CRS); Women Farmers Advancement Network (WOFAN) and the Agricultural and Rural Development Authorities of Kebbi, Sokoto, Kano, Jigawa and Katsina, Nigeria, and ICRISAT.